This is used in conjunction with our Gallagher Reel Post and Brackets. Holds approx. 500m poly wire, 300m of tape and 150m cord. 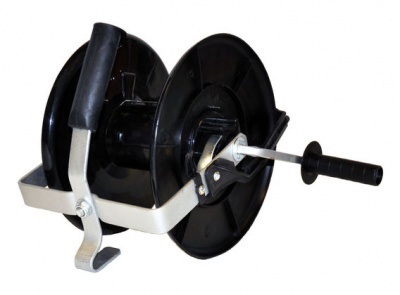 Makes winding in your tape or wire much easier - for every turn of the handle, the drum turns 3 times, reducing the effort and time taken to reel in your wire or tape.